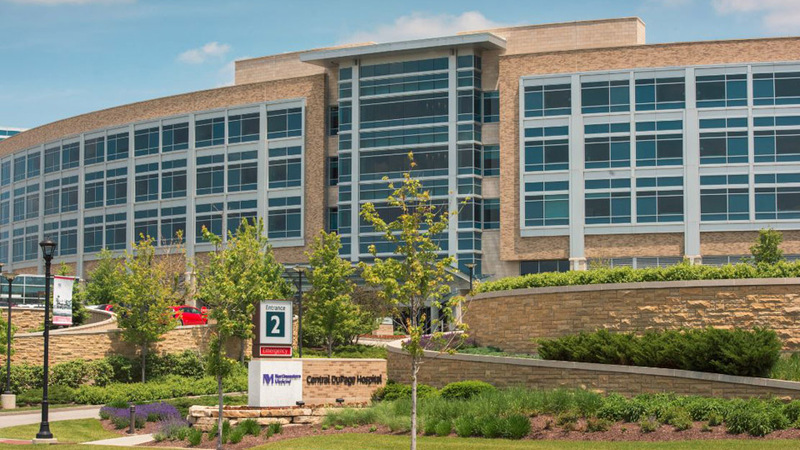 You’ll find comfort and confidence in knowing that Central DuPage Hospital (CDH) is a regional leader in providing emergency and trauma care, with several notable distinctions. CDH is one of the first medical centers in Illinois to earn the Advanced Comprehensive Stroke Center designation by the Joint Commission. CDH receives stroke patient transfers from more than 30 hospitals in Chicago’s western suburbs. CDH is also a Level II Trauma Center. Your advanced heart care starts in the Emergency Department and continues with experienced and highly ranked heart care specialists. Physician specialists on the medical staff of CDH are available 24 hours a day, seven days a week along with the skilled staff and advanced technology to handle acute critical care. Located through the main CDH Emergency Department entrance, the CDH Pediatric Emergency Department has extended hours for Lurie Children's Emergency Medicine Specialists and is designated by the State of Illinois as a Level II Trauma Center. General parking is available 24 hours a day, seven days a week and is patrolled by security staff. Complimentary valet parking is available for patients and visitors seven days/week, 24 hours/day near the Emergency Department Entrance in Parking Lot 3. Please note that visiting hours and policies may vary by unit. Please check with the care team on the unit for any specific guidelines. For your convenience, two ATMs are available on the first floor of the hospital. One is in the Outpatient Services lobby, and the other is in the cafeteria.